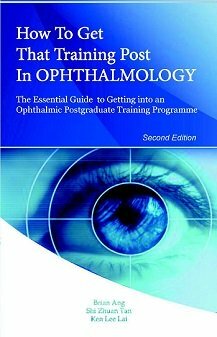 WHY IS PAN-RETINAL PHOTOCOAGULATION NECESSARY? Pan-retinal photocoagulation laser is performed for patients who have developed abnormal new blood vessels (neovascularization) in their eyes. The purpose of PRP laser is to prevent the abnormal new blood vessels from growing and causing loss of vision. 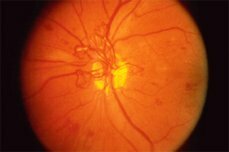 These abnormal new blood vessels initially grow on the retina (the inner lining of the eye) as a response to the retina being starved of blood and oxygen. When neovascularization occurs as a result of diabetes, it is called proliferative diabetic retinopathy (PDR). Neovascularization can also occur due to any disease that reduces the amount of blood flow and oxygen to the eye (such as retinal vein occlusion). ● Bleeding into the back cavity of the eyeball (vitreous hemorrhage). peeled away from the wall of the eye (tractional retinal detachment). and damage to the optic nerve (neovascular glaucoma). 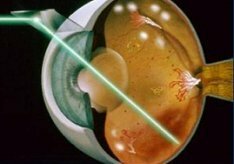 WHAT DOES PAN-RETINAL PHOTOCOAGULATION LASER DO? When the cells in the retina are starved of blood and oxygen, they become ischemic and release chemicals that stimulate the growth of the abnormal new blood vessels. PRP laser coagulates the ischemic retinal cells, thus effectively ‘killing’ these cells. These retinal cells die and as a result, the chemicals that stimulate and promote neovascularization are no longer produced. This prevents further abnormal new blood vessels from growing, and may cause any existing abnormal vessels to shrink or even disappear completely. Please note that pan-retinal photocoagulation laser is not laser vision correction and therefore does not improve your vision. visual field to the extent that you are no longer eligible to drive safely. ● Fluid at the central part of the retina (macular edema). ● Inflammation in the eye. ● Scratch on the front window of the eye (cornea). Pan-retinal photocoagulation laser is an office-based procedure, and does not require sedation or hospital admission. ● Drops to enlarge the pupil. These can take up to 30 minutes to work. ● Local anesthetic to numb the eye. PRP laser is usually performed with the patient seated at the laser machine. The laser is delivered through a special contact lens that is placed on the front of the eye. You will notice some flashing lights and may feel some discomfort with the laser shots during the procedure. The discomfort may increase in intensity if the laser power needs to be increased. Each PRP laser session takes around 10 to 15 minutes to perform. Usually no eye drops are required after laser. However if there is inflammation after laser, you may be given a steroid anti-inflammatory eye drop (usually Fluorometholone) to use 3 times daily for 1 week. Over the next few days, you may experience some blurriness, irritation, and sensitivity to light. This will gradually improve without any treatment. You will usually be reviewed 4 to 6 weeks after completion of the course of PRP laser.